My wide screen monitor broke about a month ago. I can’t buy a new one right now and am using a spare smaller monitor. It takes me four to six times longer to screencapture a manga. But for now, I have to make do. This is forcing me to slow down my manga purchases, only buying those I absolutely want. What a pain as campaigns and bargains fly out of my reach for lack of time. Sometimes, the English translated Harlequin comics don’t feature the atogaki and other extra pages. I don’t think it occurs with the recent releases, but with older digital releases, those pages were often not included or just left untranslated. For the translators who’d want to scanlate extra pages that are not released by the publisher, I’m posting a few. These seem to be some presentation or free talk from the artist and were not actually part of the digital version of the tankoubon raws. Greetings everyone! May 2014 brings you happiness. Here’s my first post of the year to update my raws collection with my latest acquisitions. Two of them are already translated and published, but I could have the Japanese versions at a bargaining price so I didn’t hesitate and purchased them. 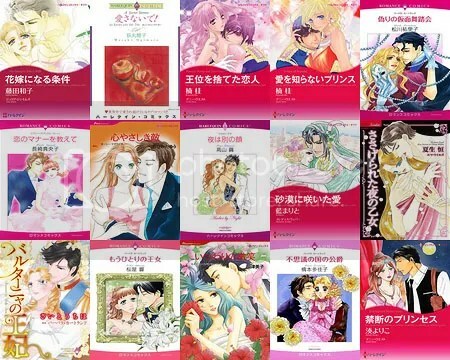 As usual, if someone is interested in scanlating one or more stories presented in this post or listed in my Harlequin & Romance comic raws collection, you can submit a request for the raws HERE. Now, let’s have a look at these mangas.
. • • • ♥ • • ♦ HAPPY NEW YEAR ♦ • • ♥ • • • . And here I go with a new batch of Japanese Harlequin comics I recently acquired. So, these are the 12 mangas I’m introducing to you. Amongst them, I finally purchased the second book of the Twin Brides duet to complete this series. 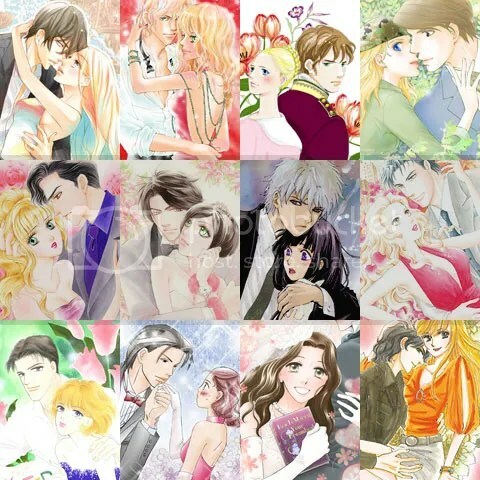 Lori Herter & SAKURAYA Hibiki: Right Husband! Wrong Bride? Jo Leigh & TOUJOU Kazumi: Kidnapped!